Brexit one year away: How well-prepared is the North West? In little more than a year's time, the United Kingdom is due to leave the European Union. Across the North West, of the 3.67m people who cast their vote in the June 2016 referendum, 53.7% backed Brexit. People living in the big cities of Liverpool and Manchester were more sympathetic to the EU, though, with 58.2% and 60.4% support respectively for the UK remaining in the bloc. However, both Remainers and Leavers have one thing in common - they both want to see the North West thrive in the years ahead. Recent analysis of the economic impact of Brexit suggests growth here could slow down more quickly than in many other parts of the UK. Others are more bullish. We've asked five people who are preparing for whatever may lie ahead. Those who advocated Brexit have consistently championed the potential of growing trade with emerging economies. Mexico is expected to grow twice as fast as those of European countries over coming decades, according to the International Monetary Fund, and some businesses in Lancashire are heading there on a trade mission organised by the East Lancashire Chamber of Commerce. Preston-based Beech's Chocolates will be among them with plans to export there. Owner Andrew Whiting said: "We see the potential of what's happened at the moment in terms of the Brexit process as an opportunity rather than a threat." The firm has benefited from sterling's fall since the referendum and, while Beech's does hope to increase exports around the world, its business is booming in Europe. Mr Whiting believes any fears about future trade in Europe are unnecessary and that a free trade deal can be agreed. "We can carry on trading with Europe as we always have done. They trade more with us than we do with them so it would be advantageous to have a low or no tariff between the two countries. Just businessman to businessman, you would agree that anyway." Not everyone is so confident. A German company making trolleys for the car manufacturing industry, LKE Ltd has a base in Liverpool as well as sites in France, Germany and Poland. Like many suppliers to an industry that employs 16,000 people in the North West, its raw materials and products cross EU borders. Without a free trade deal, costs in the UK are set to increase. Spokesperson Simran Bourne said: "We manufacture our products in Germany and import to the UK directly. "For us if there were any trade restrictions on the movement of goods it would affect the prices and consequently our suppliers and customers in the UK would feel the effects of that. "There could be time delays, all sorts of paperwork delays, but mostly it's the cost that customers would feel." Since the Brexit vote, business has gone well for Phoenix Lodges, a holiday home manufacturer in Speke. Due to the fall in the pound, managing director Colin Noble is optimistic more people will invest in UK holiday homes rather than a villa in Spain. But the flipside of a weaker pound is that British wages are far less attractive for the EU workers he's relied upon. Due to a skill shortage here, the company has for years looked to the Czech Republic for its plumbers and electricians. He said; "We've recruited EU staff in the past but were are finding it's getting more difficult because there's less coming over and some of those who are here are now returning because they don't see that much of a future staying here long term." He expects to have to pay more for staff - making his company less competitive in future. In Greater Manchester, Indian company Tech Mahindra has just created 80 jobs with a new headquarters at MediaCityUK in Salford Quays. It's investing here due to an expectation that the North West economy will continue to grow, irrelevant of what happens with Brexit, and the top universities in the region are a major attraction. Ash Pandey manages the company's UK and Ireland accounts and said; "One thing is very clear - customers want us to be closer to where the business is. Brexit will impact our customers but from a forward-thinking perspective, we're trying to build a local centre of excellence. "One of the key reasons for us is having access to 99,000 at the universities for our talent pool. The cost of operations is lower and this is the fastest growing area outside London so we are convinced it's going to do justice to our investment." A big part of the EU referendum debate was about money - how much we give to the EU and what we get in return. In recent decades, billions of pounds has been spent in the North West on projects including the rebuilding of Manchester city centre after the 1996 IRA bomb and the development of the Liverpool waterfront. In the current funding period of 2014-20, Lancashire has been allocated £230m. Much of that has been spent on big projects including Blackpool Tower and Preston Bus Station, but some goes to funding smaller but equally important projects. There's growing concern about how that money can be replaced. Social enterprise Bootstrap, in East Lancashire, works to get people from disadvantaged groups back into work. It will receive around £300,000 from the EU this year but currently won't receive any more after 2019. 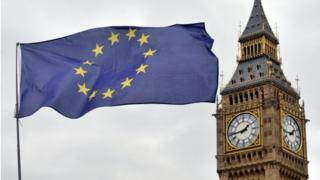 The government is still working on plans for a Shared Prosperity Fund which it says will replace European funding. "Time is ticking," said chief executive Elizabeth Taylor. "We don't know what will happen next. Bidding takes a long time. Them sorting out what they're going to fund, the criteria for it, will take a long time and I have no indication that work has already begun." EU money currently makes up about half of the organisation's income so the uncertainty is unsettling for those who currently rely on its services. Those who advocated Brexit will point out that EU funding is merely the UK receiving its own money back and that once out, we can spend it on these projects anyway. But with only a year to go until we leave, many organisations are getting desperate for clarity on what Brexit will mean for them.